KNOCK. KNOCK. YOUR IDEAL FURNACE IS CALLING. Looking for top-of-the-line comfort, performance and efficiency? As its name suggests, the Infinity series takes them further than they’ve ever been. But if the top has a top, its name includes Greenspeed intelligence. Within this line, you can find the quietest model1 and the most efficient model2 of gas furnace you can buy. 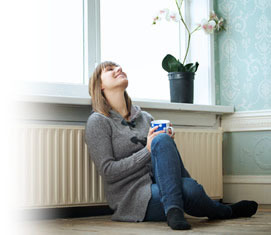 And thanks to Greenspeed intelligence, these furnaces offer unprecedented comfort and economy. No wonder they achieved the ENERGY STAR® Most Efficient qualification. 1Based on sound-level testing of the Carrier® 59MN7A060V17-14 and of leading competitive gas furnaces during steady-state, high-fire and low-fire operation. 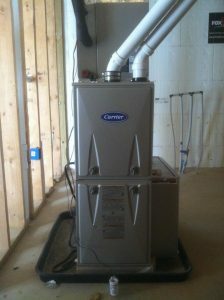 For more information regarding the testing results and procedure, visit www.cacfurnaces.com. 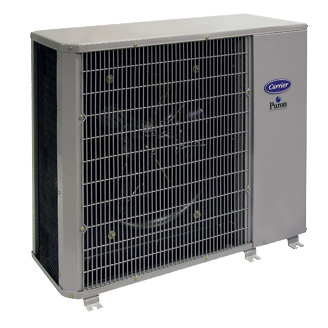 2The 59MN7A060V21-20 is the most efficient gas furnace available at 98.5% AFUE.